1) Melt the butter and a splash of oil in a frying pan. 2) Add the cashews and pistachios, roughly chopped. Fry until golden. 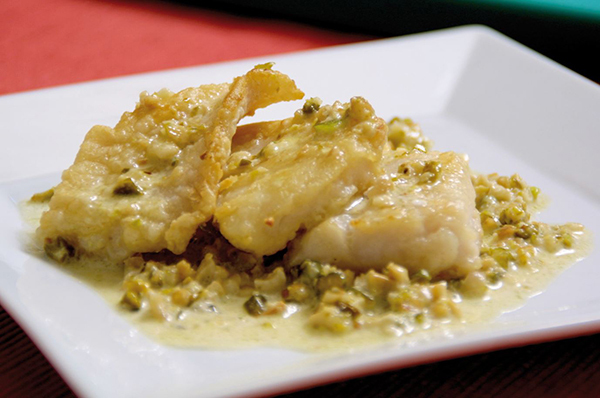 3) Place the fish fillets in an oven dish with the salt, oil, wine and nuts. 4) Bake for 8 minutes at 180ºC. Add the cream and bake for another 3 minutes.